Executives and community leaders from a variety of industries to join Salem Chamber Board. Salem, Ore. – The Salem Area Chamber of Commerce announces the appointment of four new members to its Board of Directors to serve three-year terms. Stephen Joye, Heidi Wright, Dr. Sheldon Nord and Jeff Miller join the board, effective July 1, 2018. “We are excited to welcome these successful business leaders to the Board of Directors,” said T.J. Sullivan, the new Chamber Board President and co-owner of Huggins Insurance. “Our new board members understand the challenges our members face and will be strategic partners in setting the Chamber’s agenda. We are fortunate to add such high-caliber professionals work to make the Chamber a champion for local business and help our members innovate and grow,” Sullivan said. 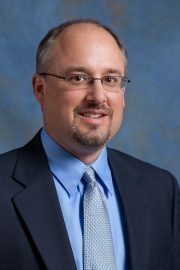 Born and raised in Salem, Sullivan’s dedication to the community is evident from his involvement in community boards, including the Salem Area Chamber of Commerce Board for over 12 years. From 2004 to 2010, Sullivan served on Salem City Council, acting as the Council President the last two years of his term. The Salem Area Chamber of Commerce represents over 1,200 businesses and more than 50,000 jobs in the area. The Board of Directors is a devoted group of volunteers who are dedicated to making Salem a great place to live where businesses thrive. They each represent a diverse cross-section of businesses in size, sector and industry. 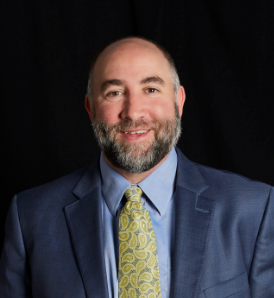 About Stephen Joye: Stephen Joye is a Certified Public Accountant as well as a Certified Valuation Analyst, a member of the American Institute of Certified Public Accountants (AICPA) and the Oregon Society of Certified Public Accountants (OSCPA). Joye is the current treasurer of the Salem Basketball Officials Association where he officiates basketball games for local schools. Born and raised in Salem, Oregon, Joye graduated from Douglass McKay High School in 1986. He received his Bachelor of Science degree in Accounting with an emphasis in foreign language, from Missouri State University in 1993, and his Masters of Science in Taxation from Golden Gate University in 2006. About Heidi Wright: She is the Chief Operating Officer of EO Media Group, headquartered in Salem. EO Media Group owns Capital Press and ten other community newspapers in the state. She moved from Montana to Oregon in 2004 to become President and Publisher of Klamath Publishing, LLC. In Klamath Falls, she was involved in the community, serving on both the Chamber and local tourism boards, as well as co-founding the Klamath Promise initiative, to improve the high school graduation rate in Klamath County. She earned her undergraduate and master degrees in business administration from the University of Montana and holds a (non-active) CPA license. 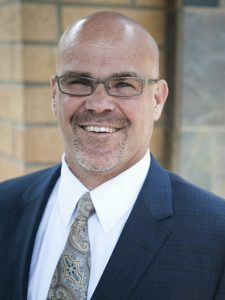 About Jeff Miller: Jeff Miller has been a licensed Real Estate Broker in the state of Oregon since early 2007. 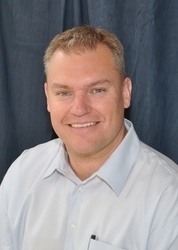 After working at Coldwell Banker Commercial, Jeff joined First Commercial Real Estate in 2012. Miller is focused on investment deals within the seniors housing space, including independent living, assisted living, memory care, and skilled nursing facilities. The Salem Area Chamber of Commerce is a privately-funded 501(c)(6) not-for-profit membership organization that advocates for business, community and economic prosperity. The Salem Chamber represents over 1,200 businesses and led by a volunteer board of directors, the Salem Chamber is dedicated to sustaining Salem’s quality of life, and keeping the community and economy vibrant. To learn more about the Salem Area Chamber of Commerce, please visit https://salemchamber.org. Marin Arreola III, Advanced Economic Solutions Inc.
Paul Dakopolos, Garrett Hemann Robertson P.C.